Congratulations! We wish our Class of 2018 chemistry and joint chemistry and biology majors luck in the workforce and at selected internships. 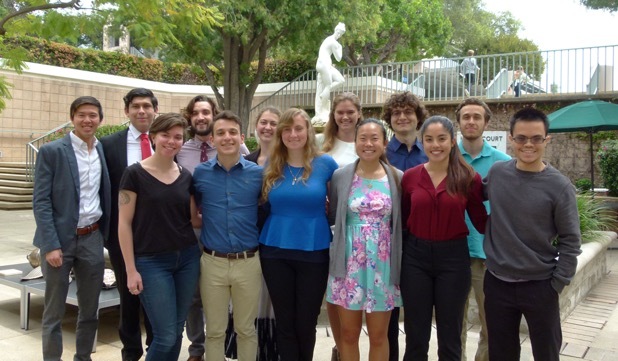 We also wish luck to those entering graduate school at University of Southern California, Stanford University, and at University of California, Los Angeles and Irvine. Discover some of the exciting and diverse career paths our chemistry and chembio alumni have followed. Kevin Esvelt ’04 is an assistant professor at the MIT Media Lab. He is the director of the Sculpting Evolution group, which invents new ways to study and influence the evolution of ecosystems. By carefully developing and testing these methods with openness and humility, the group seeks to address difficult ecological problems for the benefit of humanity and the natural world. Neel Joshi ’01 is an associated professor of chemistry and biological engineering at the Harvard School of Engineering and Applied Sciences. He is also a core faculty member of the Wyss Institute for Biologically Inspired Engineering. Neel works at the interface between synthetic chemistry, biology, and materials science. Ann McDermott ’81 is the Esther Breslow Professor of Biological Chemistry at Columbia University, where she recently served as associate vice president for academic advising and science initiatives in the Arts and Sciences and currently serves as rising chair of the Educational Policy and Planning Committee of the Arts and Sciences.  Ann is also a member of the Harvey Mudd College Board. Tyrel McQueen ’04 is a professor of chemistry at The Johns Hopkins University with a joint appointment in the Department of Chemistry, the Department of Physics and Astronomy, and the Department of Materials Science and Engineering. As a materials chemist, his focus is on the discovery of new phenomena through the design and synthesis of new materials. Eric Toberer ’02 is an assistant professor of physics at the Colorado School of Mines. His goal is to understand the relationship between material structure and properties to such accuracy that he can predict the properties of unexplored materials. Elaine Hart ’06 is a power analyst at Portland General Electric and a member of the Harvey Mudd College Board. Hart earned a bachelor of science in chemistry from Harvey Mudd College before completing a master of science in materials science and a PhD in civil and environmental engineering, both at Stanford University. An esteemed research scientist and world-recognized leader in vaccine development, Andrew Lees ’75 founded Fina BioSolutions, a company committed to eliminating vaccine-preventable deaths of infants and children in emerging-market countries. Lees is also an associate professor of medicine at the University of Maryland’s School of Medicine in the Center for Vaccine Development. In addition, he is an associate professor in the Department of Medicine at the Uniformed Services University of the Health Sciences and an affiliate at the University of Maryland Bioprocessing Scale-Up Facility. Aurora Pribram-Jones, Lawrence Fellow, Lawrence Livermore National Laboratory, and Presidential Fellow, University of California, Berkeley in chemistry. Currently a Lawrence Postdoctoral Fellow at Lawrence Livermore National Laboratory, Aurora Pribram-Jones ’09 is also a Presidential Postdoctoral Fellow hosted by the Chemistry Department at UC Berkeley. Her recent projects include using density functional methods for investigating x-ray science, gas adsorption on metal-organic frameworks, and warm dense matter. Glen Hastings ’93 is an analytics lead for Facebook’s Audience Network responsible for coordinating global audience network analytics efforts across London, Seattle, and Menlo Park offices focusing on product and marketplace analytics. Hastings previously took lead roles in Facebook’s launch of on-network mobile advertising and Yahoo’s re-launch of its search advertising platform. 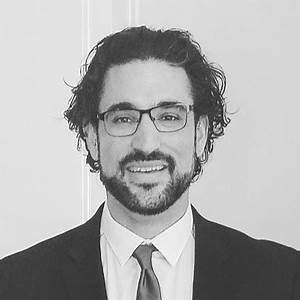 Perelman ’02 likes to build things – teams, capabilities, laboratories, ideas, strategy, and consensus. Loren has a deep passion for evaluating systems and determining optimal ways to use them to achieve business goals while providing for the personnel-oriented aspects, like culture and development. 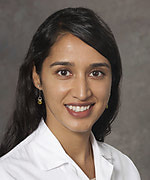 Dr. Smita Awasthi ’03 is triple board certified (Dermatology, Pediatrics, and Pediatric Dermatology) and is the Director of Pediatric Dermatology at UC Davis. Although she has a wide range of clinical experience in the diagnosis and management of skin disorders, her particular areas of interest include atopic dermatitis (eczema), acne, and genetic disorders (including ichthyosis and blistering disorders). 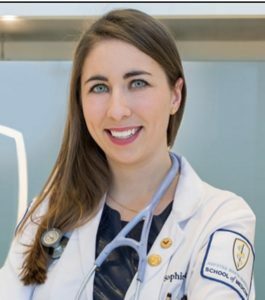 When selecting a college that would help her achieve her goal of becoming a doctor, Sophie Parks ’14 wanted a place where she could develop a strong foundation in the sciences. Parks states that going to medical school from Harvey Mudd was not a typical path, but she was really drawn to the College’s goal of educating students on the fundamentals of the sciences. She knew that she wanted that. After graduating from Harvey Mudd with a degree in biology and chemistry, Parks wanted to be closer to her hometown of Manhattan, so she applied to medical schools in New York, including Hofstra NS-LIJ. 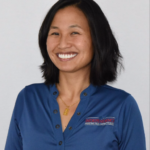 Jocelyn Wong, CPO, MSPO, Independence Prosthetics-Orthotics, Inc.
Jocelyn Wong ’03 is a Certified Prosthetist-Orthotist (CPO) and clinical director, specializing in lower limb prosthetics. She learned about the prosthetics profession as a research intern, and while racing alongside athletes who used prosthetic legs in local triathlons.